So much for a last taste of summer: This Labor Day, I came down with the flu. A lot more time than I’d like to admit was spent curled up with The Hunger Games (yes, I’m completely hooked)–but I also finally had a chance to catch up on a whole lot of missed episodes of NPR’s Science Friday. Along the way, I found a great piece of news to pass along. According to a new report in the Proceedings of the National Academy of Sciences, mice who were fed a specific strain of probiotic exhibited fewer signs of anxiousness, had lower counts of stress hormones, and even experienced changes in the parts of their brains. Incredible, right? As with all animal studies, there’s no way to know exactly how this translates to humans. Notably, too, all probiotics work differently, and the lactobacillus strain used in this experiment isn’t even commercially available. But I think the findings are worth watching. And they’re definitely motivating me to keep taking probiotics for all their known benefits. For people (like me), who’re just starting to dabble with all the options out there, I thought a little informal poll might be helpful. So let’s hear it: Do you take probiotics? And if so, what strains/brands do you use? I woke up this morning feeling like Labor Day was just barreling toward me. Yikes. I’m definitely not ready to let go of watermelons and warm summer nights. Nevertheless, I’m a big believer in “preparedness,” so today I’m reminding myself of the incredible energy potential of early fall. When I hunker down and think about it, there really is something about the indian summers, the crisper nights, and the leaves a different color each day that makes anything feel possible. Every year I get that back-to-school itch to make lists and change things around–and I suppose even (still) grow up a little more. 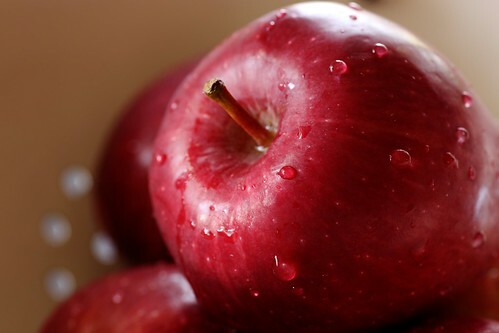 On that note, I thought I’d use this post to give a shout-out to a piece I put together over at iVillage: “Which is Worse, Battle of the Afternoon Snacks.” Helping me out were nutritionists Stephanie Middleberg, Keri Glassman (The O2 Diet), and Melissa O’Shea, along with Dr. David Colbert (The High School Reuinion Diet). Pairing kids’ snacks head to head confirmed a lot of information we can all pretty easily intuit: That what’s healthiest doesn’t just come down to fat and calories on the label (see Yopliat GoGurt vs Chobani Champions). Nor is it a matter of how many health-promoting ingredients are concentrated in a product (might I direct you to Edy’s All-Natural Antioxidant Fruit Bar versus Ciao Bella Sorbet Bar). These experts made the “hows” and “whys” of it all fascinating, though–and along the way, I even discovered a few new on-the-go indulgences to sink my teeth into. This leads me to my question du jour: As somebody who hasn’t yet had kids, I feel like I’m constantly behind the curve on fun and creative snacks (homemade and store-bought). I’m putting it to you–what eats are you exciting about resurrecting (and trying!) for fall? For just 70 calories, an egg delivers more than 6 grams of protein, says Shelley McGuire, Ph.D., a spokesperson for the American Society for Nutrition. One study found that women who ate eggs for breakfast lost more weight than those who had bagels with the same number of calories, possibly because all that protein kept their hunger in check. The egg eaters reported more energy too! Studies show that foods containing a lot of water can keep you feeling full. And when you start a meal with soup, you activate brain signals that begin to tell you you’ve had enough to eat—so that by the time you finish your second course, you’ll be satisfied. 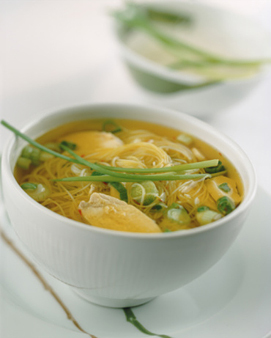 “Go for a broth-based bowl with fiber-rich veggies like celery and spinach,” says Amy Jamieson-Petonic, R.D. Seventeen grams of protein in a 6-ounce container (that’s more than you get in four slices of turkey!) means major hunger control. All that filling fiber (4 grams per half-cup serving in the old-fashioned variety; 3 grams in the instant) helps this breakfast stick to your ribs. It also provides a surprising 4 to 7 grams of protein (the steel-cut kind typically has the most)—and that’s before you add milk. For extra staying power, toss in blueberries, which have 4 grams of fiber per cup. 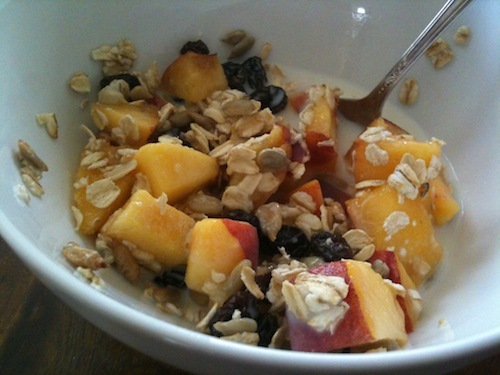 For more filling food ideas—and four foods that will make you hungry (like cereal! ), head over to Glamour.com. Parsing through my twitter feed this morning, I came across one of those can’t-help-but-click headlines: “40 Chews Per Bite May Be Key to Weight Loss.” Turns out, a team of researchers had found that not only do obese people tend to chew less, but also when individuals–obese or normal weight–are asked to chew each piece of food exactly 40 times, they’ll consume 15% fewer calories in a meal than when they’re asked to chew food just 15 times. In theory this makes sense…but I’m still left thinking really?! That’s a whole lot of bites. Still, I’m a huge believer in the whole notion that slowing down and savoring food can help people avoid overeating. Studies show that it takes about 20 minutes or so for our fullness signals to kick in. Time and again I notice that when I’m eating in a setting where there’s great conversation, I almost never overdo it. It turns out that the Journal of the American Dietetic Association also has some things to say about eating speed. This month, it’s published two articles on the subject. In one, researchers were able to connect women’s speed of eating with their body weight. In another, a different team used something called a “bite counter” to help people slow things down. Pretty cute idea. And it made me think that an easy trick to slow myself down in a more-realistic-than-40-bites way might be to count the number of bites or chews I naturally take. Then, to remember that stat the next time I’m eating when I’m stressed harried, or in a big hurry. I suspect that just having an awareness of some kind of target number might help. 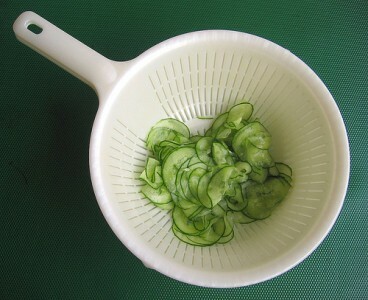 Have any of you tried (or thought of trying) something like this? Would love to hear what you think! 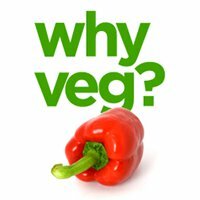 Our new gig at WhyVeg! Exciting news! Seth Godin just launched a new online magazine, WhyVeg—and Sara and I are writing a weekly column there called (you guessed it) Svelte Gourmand. Check out our column here and tell us what you think. 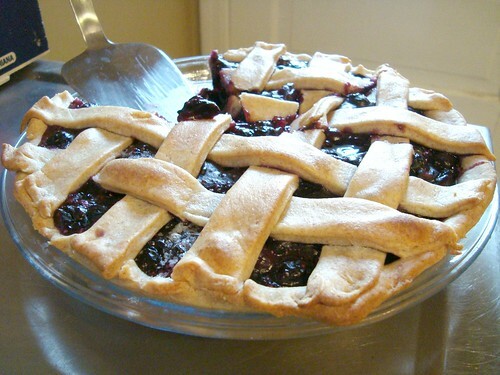 Writer Jael McHenry describes herself as an “enthusiastic amateur cook”. Spend some time on her blog and you’ll soon see that she’s anything but amateur. From stuffed squash blossoms to a Svelte favorite, strawberry salad, she’s got a talent for all things food. We’re giving away a copy of this delicious book; all you need to do to be entered is leave a brief comment below before Wednesday. 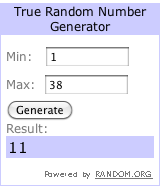 UPDATE: Random.org chose commenter #11, Angela Knotts. Thanks, everyone, for participating! 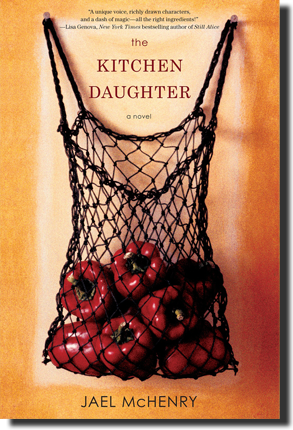 ANOTHER UPDATE: Thanks to overwhelming interest, I’ll give away another copy of The Kitchen Daughter at the end of the day tomorrow (8/11). No need to re-comment; everyone except the previous winner will be considered! 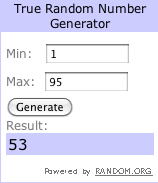 UPDATE 8/11: Commenter number 53, Kathy Roberts, is the winner! The contest is now closed. Thanks, everyone, for entering! PS If you live in Michigan, Jael’s coming to Ann Arbor on August 18th and Petoskey on August 19th. Visit her website for details. 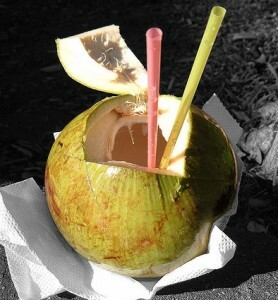 Do you drink coconut water? Many fitness nuts and healthy living enthusiasts swear by the stuff, especially as a post-workout recovery drink. Coconut water, which is simply the liquid that comes from inside green coconuts, has a lot going for it. It’s free of the food coloring and added sugars that many so-called sports drinks contain, and it tends to be reasonable in calories (around 60 for 14 fluid ounces). It’s not too sweet and has a light, almost nutty flavor. Most Americans aren’t wanting for sodium; we get a ton of it from our diets, and plain old H20 is more than enough to prevent dehydration. But if you’re a serious exerciser who, say, runs long distances or spends an hour or more at the gym, drinking a sports drink that contains adequate sodium during or after your workout can help you avoid muscle weakness and that wobbly feeling. And I don’t know about you, but I’d much rather drink straight coconut juice than a beverage chock full of high fructose corn syrup and red dye #40. *Unfortunately, I can’t reveal which one made the cut, but visit ConsumerLab.com for more information. I will say that as a consumer, I’ve noticed that when it comes to coconut water, you get what you pay for: the pricier ones tend to taste better and their nutrition info stacks up best, too. READING RIGHT NOW: Chocolate to fuel your workout? If you’re looking for another good reason to eat chocolate (and who isn’t?! 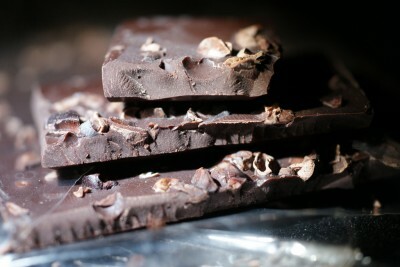 ), I just came across this New York Times article, which suggests chocolate might fuel workouts. The study that author Gretchen Roberts discusses is done on mice—but it got me thinking. Dark chocolate has a bit of caffeine, and research has shown that in reasonable doses, caffeine improves performance during running and other forms of aerobic exercise. It’s got a bit of carbs, too, which are crucial for keeping your body going on longer workouts. That makes for a tasty pre-cardio idea, and if you can keep your intake to a small square or two of dark chocolate, you’re only looking at 100 calories or so. Have you tried snacking on chocolate before you work out? Greetings from way up North…for those of you newer to the blog, my mother’s family is from Scandinavia, so once a year I make a Great Migration to visit the relatives in Sweden and Norway. All to say, as I’m writing this I couldn’t be deeper seeped in those amazing “coming home” tastes and sensations: You’ve missed everything. But what happens that I especially love is that because you’ve been away so long, the best bits rise to the surface. With sugar, how much is too much? All content on this site is copyrighted and property of Svelte Gourmand™ and its authors unless otherwise noted. Material may not be copied or reprinted without our written permission. Powered by Wordpress and Thesis.